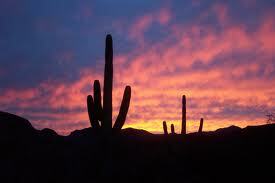 I was in Phoenix, Arizona, last week for a meeting. I’d never been to Phoenix before. I spent some of my time trying to absorb the way that part of the world looks, with its rugged mountains and hills, palm trees and saguaro cacti, and steady, warming sunshine, even in January. On Thursday evening our group went to dinner at a restaurant on top of a hill where we could look out over the city. The sun was already down, but as we sat on the terrace and talked the sky showed off every shade of orange in its repertoire, and the jagged hills around us were silhouetted deep black against it. To be talking and laughing with friends in such a setting, gathered around the warmth of a fire pit with our faces lit up by the leaping flames, was a gift from God and I knew it (even though I got a really good deal on airfare and shared a room to keep expenses down). I tried to impress every detail on my mind in such a way that I would never forget it. On Friday afternoon I got on a plane to come home, and as we were taxiing toward the runway I opened the shade to have one last look at Phoenix. The sun was shining, the day was warm, and the palm trees seemed to be waving goodbye as the plane lifted into the sky. Three hours later my plane came down through heavy cloud cover into Minneapolis, and when I looked out the window I could hardly believe the difference in what I was seeing. The sky was the color of lead. The lakes and rivers were frozen hard as iron. Snow lay in deep drifts on the ground and swirled around the plane as we pulled up to the gate. The temperature was three below zero. It wasn’t like I had landed in another state; it was like I had landed on another planet—some distant planet on the outer edge of the solar system—far, far away from the warming sun that had been so present in Phoenix, and it was tempting to think of it as some frozen version of hell with regular shuttle service to heaven (Phoenix). But I’ve been to Minneapolis in the summer, and it’s lovely. Flying into that same airport six months ago I marveled at the number of lakes and rivers I could see from 10,000 feet, and how lush and green everything looked. I wanted to come back when I had time to go hiking or canoeing in Minnesota. And I have a feeling that if I got off a plane in Phoenix in the middle of summer I would think I had landed in hell there, with high temperatures approaching 120 degrees (“But it’s a dry heat,” they say, to which I reply, “I don’t care how dry it is—120 degrees is too hot!”). If there were a point to this post (and I’m not at all sure that there is) I think it would be this: that as much as I love to travel I was glad when my plane finally touched down in Richmond, Virginia, where we have four distinct seasons and tend to avoid the extremes of either 120 above or 20 below; a beautiful place, really, resting comfortably on the earth’s surface, somewhere safely between heaven and hell. Q: How do you know God exists? (I assume you’d say you know, but maybe that’s wrong?). A: Actually, I DON’T know that God exists. I’ve always wanted to meet a card-carrying agnostic so that I could say, “Are you an agnostic? Me too!” in the sense that I can’t know, for certain, beyond the shadow of a doubt. What I can do is believe, and that’s different. I believe God exists in the same way I believe love exists, and I couldn’t imagine a world without God in it anymore than I could imagine a world without love in it. If there were such a world, I wouldn’t want to live in it! But there are some things that confirm my faith, that warm my heart, that give me goosebumps, that make me gasp and say, “It’s true!” And in my job I get to notice those things, take notes on them, and talk about them. 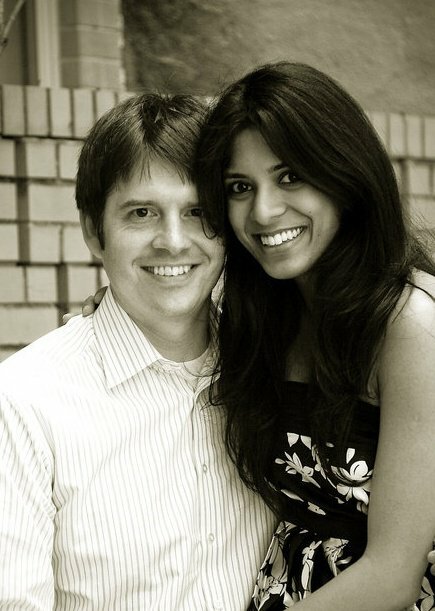 Several people have asked for pictures from the wedding of Josh Pierce and Kavita John in Bangalore, which I officiated. Here are some good ones posted by Sarah Simon, cousin of the bride, on her Facebook page. You’ll notice the wedding activities taking place at St. John’s church, including the bride’s nervous walk down the aisle with her dad, exchanging vows at the altar in front of Rev. Paul, listening as I deliver a sermon during the wedding, and then rejoicing with family afterward. One of the pictures in this collection is of me with my good friend Miriam Rajkumar, also a cousin of the bride, who was vice-chair of the deacons at First Baptist, DC, before moving back to her home in Dubai in 2005. 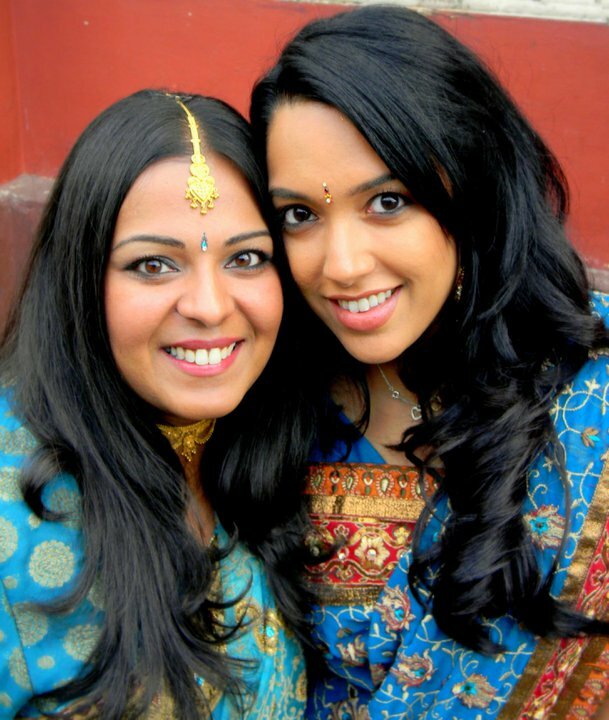 How about that shot of the bridesmaids in their gorgeous orange saris? And then there’s Emily, the flower girl, mugging with her flower basket on her head. One of the stories that came out of my recent trip to India is the one about the groomsman who wanted to get into the family. He was at the wedding reception, watching as his friend Josh (the groom) was welcomed again and again by members of this large, loving Indian family. He himself had grown up in a small family, and something about all those people laughing and calling each other “cousin,” “uncle,” and “aunty,” appealed to him at the deepest level. In an unguarded moment he asked one of the uncles: “What do I have to do to get in?” The uncle looked at him, smiled, and began flipping through his mental Rolodex, searching for the name of a niece who hadn’t been married off yet. That’s one way to do it: marry into the family. But as I watched Josh (who grew up in Oregon) nervously greeting his many Indian in-laws—I guessed it was going to take more than a wedding ceremony and his signature on a legal document to become part of the family. I thought about my own experience over the previous two days as I had been welcomed into my host’s home in Bangalore. 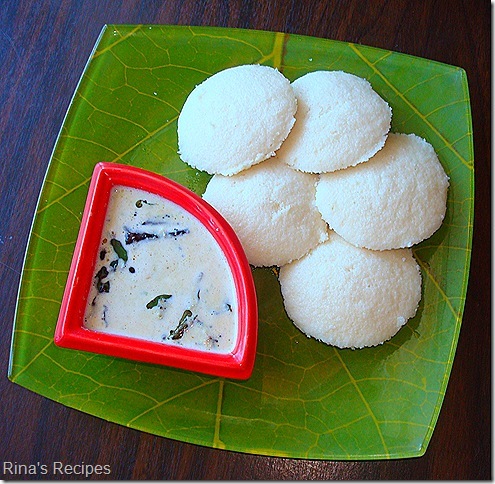 That first morning at breakfast I learned to eat idli and coconut chutney—with my fingers. It was delicious, but a much different experience than my usual bowl of oatmeal at home. How many times would I have to eat idli before it seemed like a typical breakfast and not a new experience? How many times would Josh have to try new foods, learn new customs, pick up words and expressions in another language, before he truly felt like part of the family? Interestingly, I was able to apply this experience to the Bible study from Galatians I led last Wednesday night. 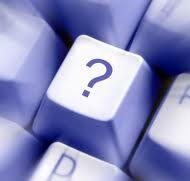 I said that the doctrine of justification seems to be a question of how we get into God’s family. For Paul, it’s as simple as getting married. We are justified (brought into the family) through God’s grace and our faith in Jesus Christ. In my mind’s eye I could see the bride’s father, Colin, graciously welcoming his new son-in-law, Josh, simply because of his love for Kavita. But suppose some members of that wonderful Indian family felt that wasn’t enough. What if they wanted Josh to adopt their language, culture, clothing, and customs? What if they believed he could never really be part of the family until he was Indian? That’s what’s going on in Galatians. The Jewish Christians are having a hard time welcoming these Gentile believers into the family. It’s not enough that they have said “I do” to Jesus and signed all the papers; they want them to adopt the language and culture, the clothing and customs, of Judaism. Paul is incensed. Like the father of the bride at that Indian wedding he insists that the Gentile believers are also part of God’s family even if they look different and talk funny and have all those quirky Gentile customs. He might say that you don’t become Christian by being circumcised any more than you become Indian by eating idli. Take another look at the bride and groom in the picture at the top of this post. Don’t they look happy? And don’t you think their love might not only survive the mix of cultures they bring to their marriage but thrive on it? I’m guessing that’s why God has always had it in mind that the Gentiles, too, would be part of his family. His love isn’t diminished by diversity; it is enlarged by it. It’s 2:30 a.m. in India, but in Richmond, Virginia, where I am currently recovering from jet lag, it’s only 4:00 in the afternoon. How did I get here? It started several months ago, when Kavita John asked if I would be interested in officiating at her wedding in Bangalore. Kavita is the cousin of Veena Kapadia, whose wedding I did in Washington, DC, back in 2005. Veena’s whole family came for the event. I loved seeing the church filled with all those gorgeous saris, and the idea of doing a wedding in India sounded even better. So, when Kavita asked I didn’t have to think twice: I said yes. It’s a long way from here to there—just about 24 hours of travel—and when I got to Bangalore at 3:00 a.m. I was exhausted. But after a few hours sleep I got up ready for a full day of adventure that included walking a few blocks from where I was staying to an open air market where people were selling flowers and food and everything else you can imagine under a canopy of huge trees with twisting limbs. The colors were incredible, and the smells delicious. Yes, I did pass a few cud-chewing sacred cows along the way, and a dozen stray dogs sniffing around for something to eat, but there were also all those beautiful people, and little children looking up at me with huge brown eyes like melted chocolate. The wedding rehearsal was that afternoon, and somehow I managed to stay awake for it. I was back at St. John’s church the next day for the wedding itself, feeling much more rested, in fact, rested enough to go to the reception afterward and dance until midnight. But the wedding wasn’t over yet. 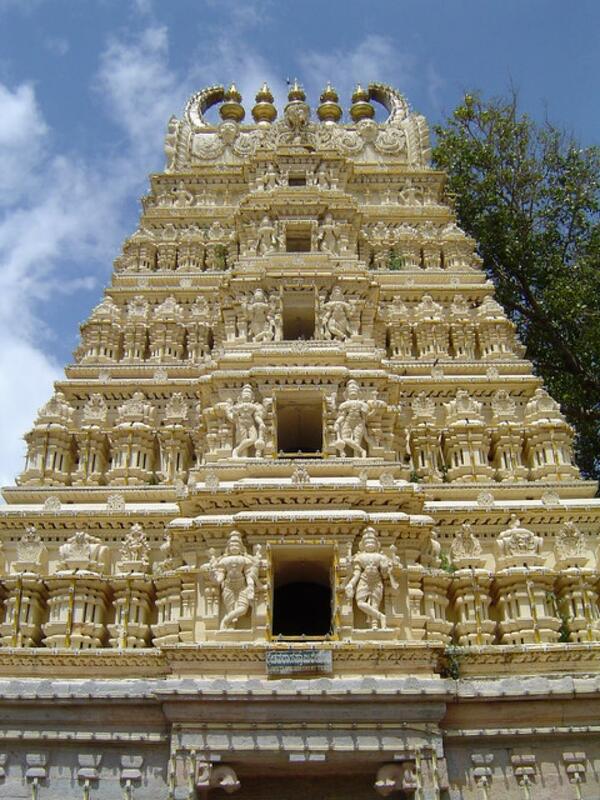 There were events afterward that included a trip to the Nandi Hills (where a monkey stole my lunch!) to the Maharajah’s palace in Mysore, and a New Year’s Eve party with fireworks exploding everywhere around us in the neighborhood. On New Year’s Day I got up and accompanied my host family to church where I was invited to come back the next day (Sunday) and preach. Well, I wasn’t expecting that, but I’ve been preaching for years now—surely I could think of something to say before Sunday morning. I did, and although I don’t think it was my best sermon ever it seemed to meet the needs of the day. 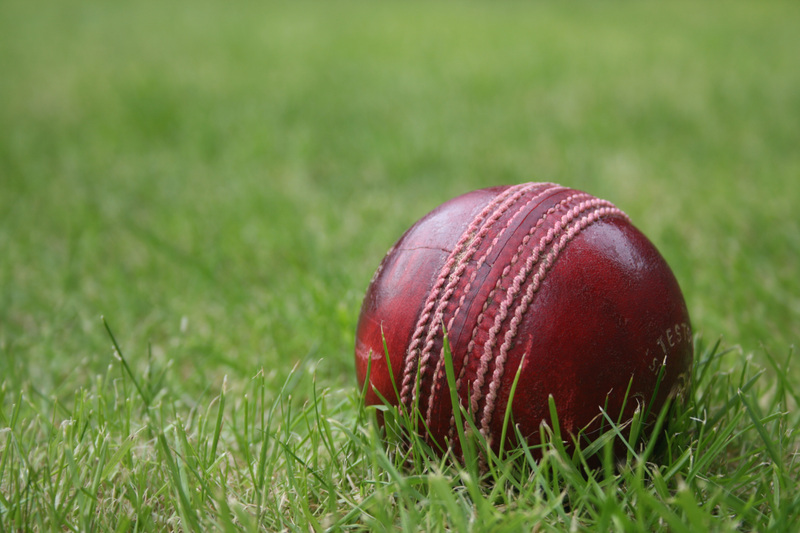 The trip ended with a visit to the family “farm” on the outskirts of Bangalore (actually a beautifully landscaped garden, with a manicured lawn that was perfect for a pick-up game of cricket). I sat under a coconut palm, sipping coconut water right out of the shell with a straw, marveling at the beauty of the place and—again—the people: this large, loud, laughing Indian family that had taken me in as if I were one of their own. Being with them was like being in a week-long group hug. I’m back now (well, mostly) and gradually finding my way back into the right time zone, but grateful to God for the experience and wondering how he might use it for the good of his Kingdom.